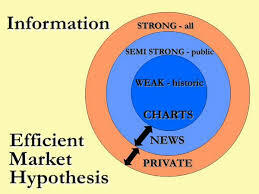 Major objective of this article is to Explain Efficient Market Hypothesis. Here briefly explain Market Hypothesis in financial management perspective. When researchers have examined stock prices movement for quoted companies they’ve observed that the price movements apparently follow a random pattern. In other words, stock price movements cannot be predicated. From their findings, a hypothesis was developed which stated that stock prices are fairly valued based on all existing information along with stock prices quickly interact with any new information. Here also explain Assumptions underlying efficient capital markets and Strong form of the EMH.